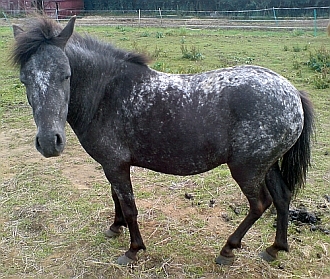 The Falabella is a small Argentine horse that rarely stands above 32 inches in height. 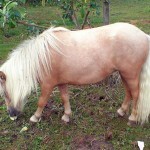 It is considered to be a miniature horse rather than a pony and is as one of the smallest breeds of the present generation of horses. The Falabellas, with generations of selective breeding, can survive in severe weather conditions, and sometimes even better than their taller counterparts. They are characterized by extremely long life. 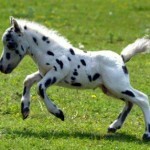 Evidently, the foals of this breed are very much small and stand around 12 to 22 inches during birth. 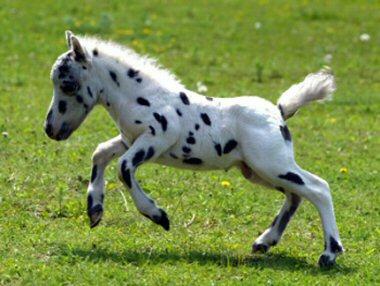 The baby Falabella would attain adulthood by age three. They are easily trainable and can be taught to drive, as also be utilized as guide animals. The horse consistently passes on temperament, conformation and size, and is frequently used in Olympic sports events like dressage. 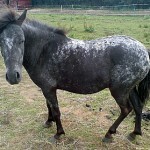 Feeding/Diet Common horse diet consisting of hay, grass, grains, vegetables, etc. 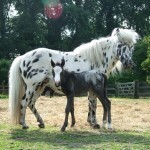 In the southern regions of South America, a number of horses, whose ancestral stock had developed from the horses of Andalusian and other Iberian bloodlines, developed substantially across the region despite geographic isolation. The Andalusians and Iberians were brought to the western hemisphere by the Spanish people. By the middle of the 19th century, in the southern Buenos Aires province in Argentina, random numbers of these smaller, inbred animals were found in the herds belonging to the Mapuche Indians, the indigenous inhabitants of the continent. 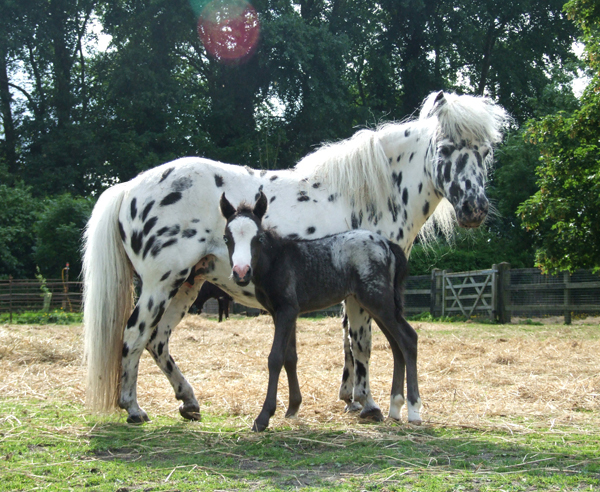 In 1868, Patrick Newtall initiated a breeding program of the Falabella using the local horses from the stocks of the Criollo. 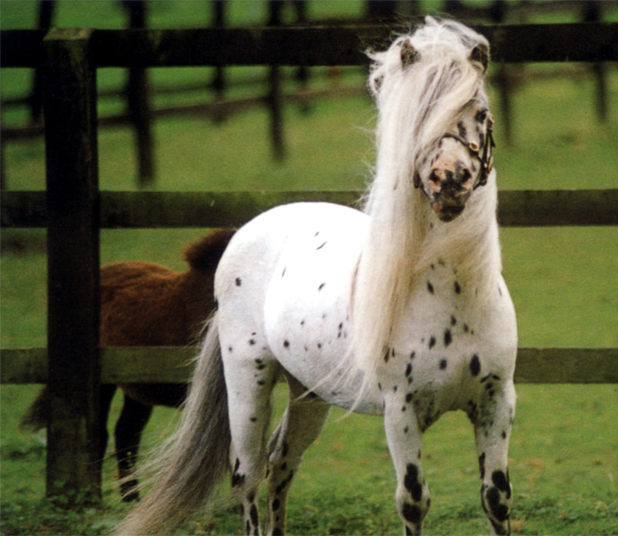 This marked the very first development of the Falabella breed. However, after the death of Newtall, Juan Falabella, his son-in-law usurped the horses and their breeding methods. 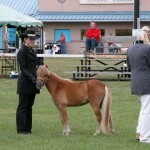 It was then that Welsh Pony, Shetland Pony, and small Thoroughbreds were incorporated into the program by Juan in order to add additional bloodlines to develop miniature sizes within the herd. After considerable inbreeding, Juan succeeded in his venture. 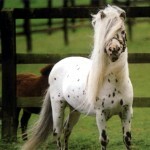 Later, in 1940, Juan’s descendant, Julio C. Falabella, created a formal breed registry, the Establecimientos Falabella (now known as the Asociación de Criadores de Caballos Falabella or, the Falabella Horse Breeders Association). 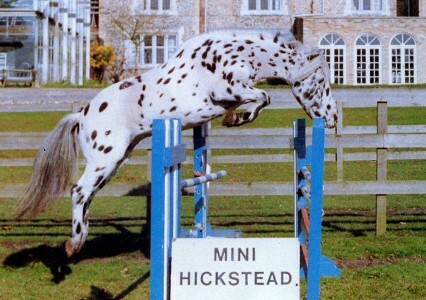 Julio decided to work on acquiring a consistent height of his horses initially achieving an average size that is lesser than 100 cm (40 in). 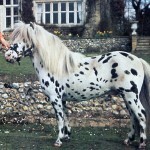 In the latter days, a horse that abided by the modern standard – averaging to around 76 cm (30 in) by height – was developed by the breeders. 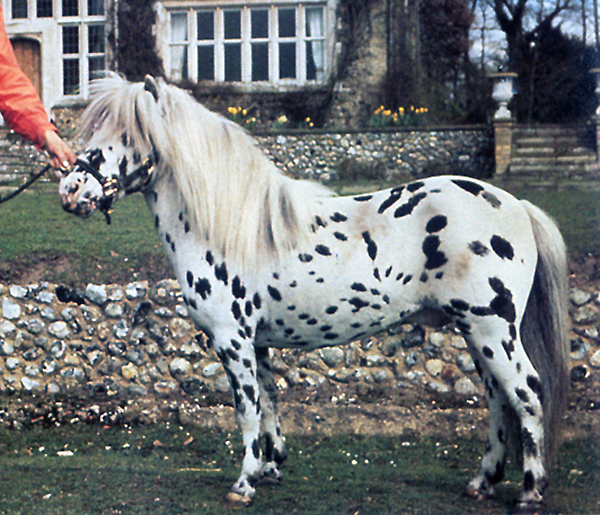 It was first in 1962 that US imported these horses as a dozen of these stallions were sold to Regina Winery in Etiwanda, California by an Argentinian named John Aleno. Aleno bought these horses from Julio. 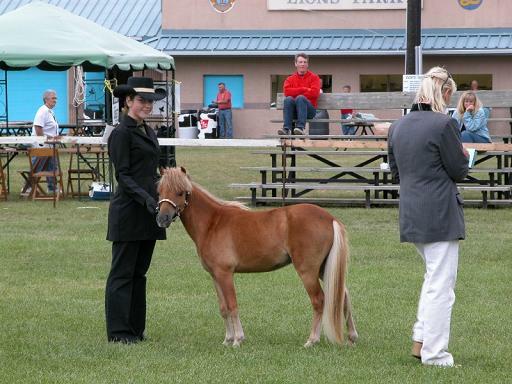 In modern day USA, most of the miniature horses are the descendants of the horses that Julio sold to Aleno. 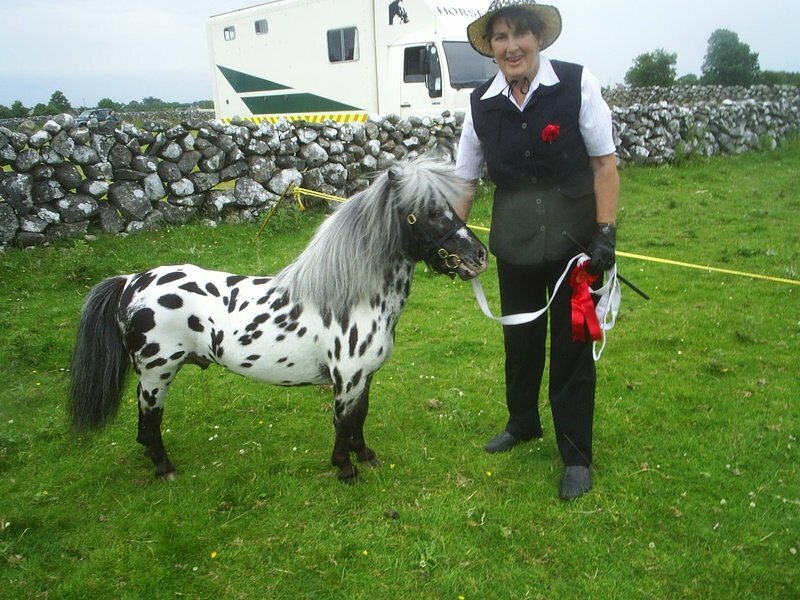 Since the horse is too small, very young children can also ride the Falabella horse, and hence, the horse is often shown in-hand at the horse shows. 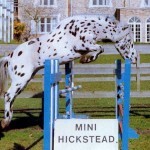 The falabellas can jump obstacles up to 90 cm (3 ft), though without a rider. 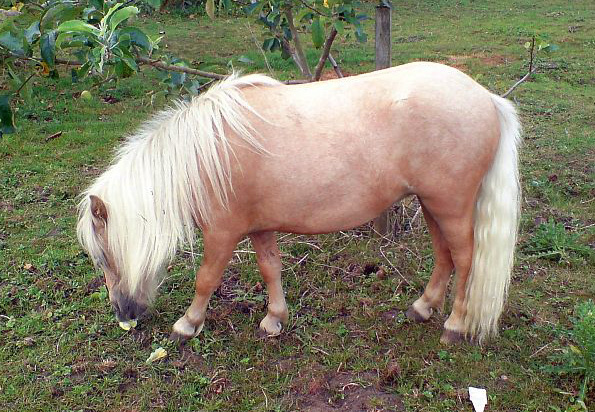 By weight, this equine is around 955 pounds lighter than the average horse breed. 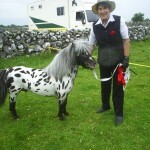 Wow Judy, I am so sorry to hear about Baja and his cancer. This makes me so sad. I know for a FACT that you being there for him and still tiantreg him as a horse and friend will make him spend the time he has left on earth the best he could spend anywhere. You are so right, I often take for granted the gifts God has given me to take care of and I do not want to do that. Everyday, every person and animal I hold dear to me, should be such a joy. Thank you for reminding me. I am proud to be a part of the Heart of Tucson because it makes me remember that life is precious and love is forgiving. So many hurt horses that I have seen in my last month or so go through Heart, have brought inspiration and renewed HOPE AND FAITH in life. I call them Miracles because if it wasn’t for HEART, these animals would have died. Baja is giving us his best and we are giving all of the rescues our best. THAT is what life is all about. Heart gives comfort, love and healing to EVERYONE involved. Thank you Domino, Tamale, Baja and the rest of ya all for giving us love, comfort and healing too! We love and cherish you all. P.S. Judy, thanks for making me cry so early in the morning, but it is a good cry, a good reminder to remember how much I can love. 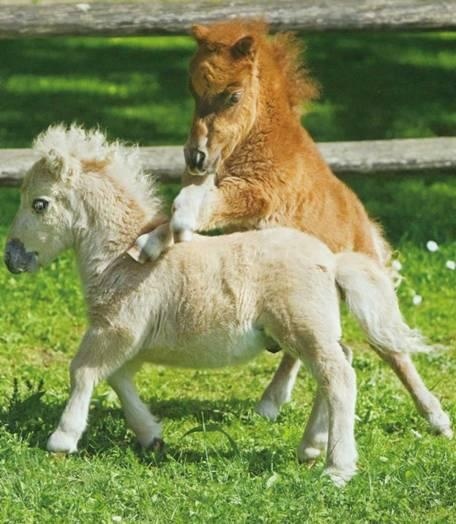 Keep it up : ) And as for Digalow and my first pony Fantasy, they are both proud that we are out there saving their friends They are probably saying keep it up moms, don’t give up One horse at a time makes a GREAT difference!